I am SO excited to be sharing this today! I started writing an eBook back in November... and I didn't tell anyone until a couple months ago. I'm a fairly private person, only sharing close things with close people. However, I love entertaining. At least once a week we have someone over for dinner. I love hosting parties and dinners, and I think the entire process is fun. I wanted to share that love with all the world, therefore I wrote a book! One of the most loving acts I can do for you is make you a meal and set a place at my table. Sharing this information is the same as me opening my home to you! You're invited, anytime! While hosting dinner parties over the last couple years, I have photographed them and taken notes. While these are compiled into the eBook, Successful Entertaining, I wanted to share information on my blog as well. I also didn't want to write a book that you purchase, but could read the same recipes and information on my blog for free.... That isn't smart! This labor of love not only includes close to 100 recipes, but it includes every secret I have learned (so far!) from entertaining. 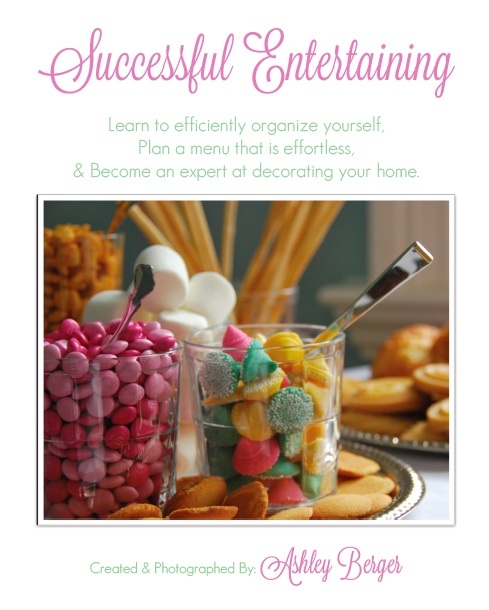 It includes helpful printables that will keep your organized and help you efficiently plan your party! 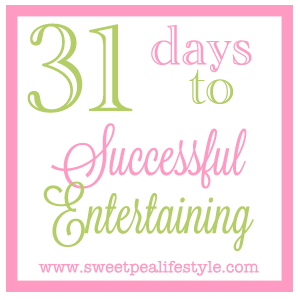 So, for the next 31 days in May, I will share a daily tip or trick, party or dinner. I also will be releasing my eBook, as well as F-R-E-E printables and items that will make party planning more simple and stress free for you! Follow along via BlogLovin, Pinterest, and Facebook so you don't miss a thing! I hope you will learn a few things, as well as spark your own inner Martha and learn to love entertaining as much as I do! Cheers, Sweet Friends, to a new adventure in Successful Entertaining! So Proud and Excited for you. This is going to be WONDERFUL! @Sheila, I will be releasing the eBook next week!